‘West End Musicals in Concert’ – New for 2013 – Marbella – Costa del Sol – Spain – Europe | Marbella Marbella – Adelante! Performance dates and venues to be announced soon. Popular International Tenor Stephen Lloyd-Morgan joins forces with the amazing voices of Steve Shappelle, Adele Lee Peters and Gemma Lloyd to bring you ‘West End Musicals in Concert’. 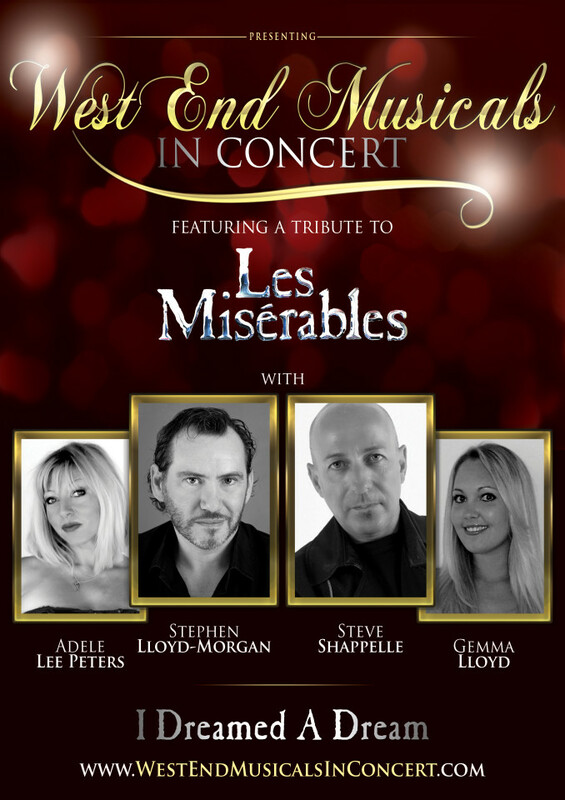 A Concert comprising highlights and showstoppers from the best of Musical Theatre, featuring a special tribute to the multi-award winning show ‘Les Misérables’. The Concert is also available for booking by venues or private engagements – please email for availability.